If you’re planning on buying a home in the near future and are confused about many of the terms associated with mortgages, you’re not alone. Real estate is its own industry with its own set of processes, terms, and acronyms. If you’re new to the home buying process, there can be somewhat of a learning curve to understand what each of these terms means. Since buying a home is such a huge investment and life decision, there’s a lot of pressure on home buyers to make sure they get everything right. This makes for a stressful situation for buyers who don’t feel like they understand the terminology of things like mortgages, appraisals, credit reports, and other factors that contribute to the home buying process. To alleviate some of those concerns and to make the home buying process run more smoothly, we’ve compiled a list of the most common, and most commonly confused, real estate words, terms, and acronyms. That way, when you’re talking things over with your real estate agent or your mortgage lender, you’ll be confident that you understand exactly what’s being considered. 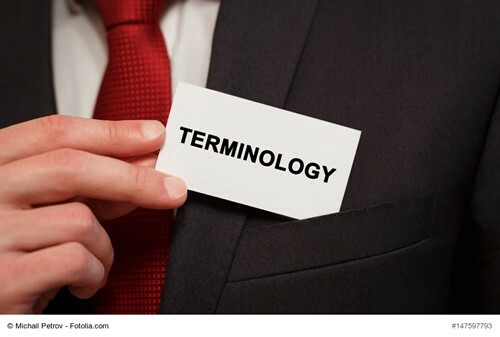 Read on for our real estate terminology glossary. Adjustable rate mortgage (ARM) - This is one type of home loan. Mortgage rates with this type of loan fluctuate throughout the repayment term of the loan. The fluctuation is based on a market indicator. Fixed rate mortgage (FRM) - Another type of home loan, a fixed rate mortgage has a rate which does not fluctuate, remaining constant for the life of the term, most commonly 15 or 30 years. Appraisal - An appraisal is the determination of the value of a property. Appraisals are used when purchasing and selling a home, as well as when refinancing a home loan. Appraisers are required to be licensed or certified in each state and are usually paid for by the lender. Appreciation - An increase in a property’s value, most commonly due to market inflation, or the general increase in home prices over time. Depreciation - A decrease in a property’s value, due to either market deflation (uncommon) or the wear and tear on a home that comes with age. Closing costs - The costs and fees that a buyer is responsible for when purchasing a home or taking out a mortgage. These include underwriting fees, inspections, appraisals, transfer taxes, and more. Closing costs typically range from 2% to 5% of the total loan amount. Contingency - Home purchases have contracts to protect the interest of the buyer, seller, and lender. Contingencies are provisions designed to protect the buyer or lender should something occur in the time leading up to closing on (or purchasing) the home. One common contingency is the buyer’s right to have a final inspection of the home before closing to ensure no new issues with the home have occurred. Private mortgage insurance (PMI) - Buyers who cannot afford a down payment of %20 typically are required to take out a private mortgage insurance policy. This policy protects the lender should the borrower default (fail to repay or meet the conditions of their loan).